For this piece, I wanted to paint an original photographic scene that I created to highlight some of Suzanne's favorite things. I first gathered all the things she said were high on her list. 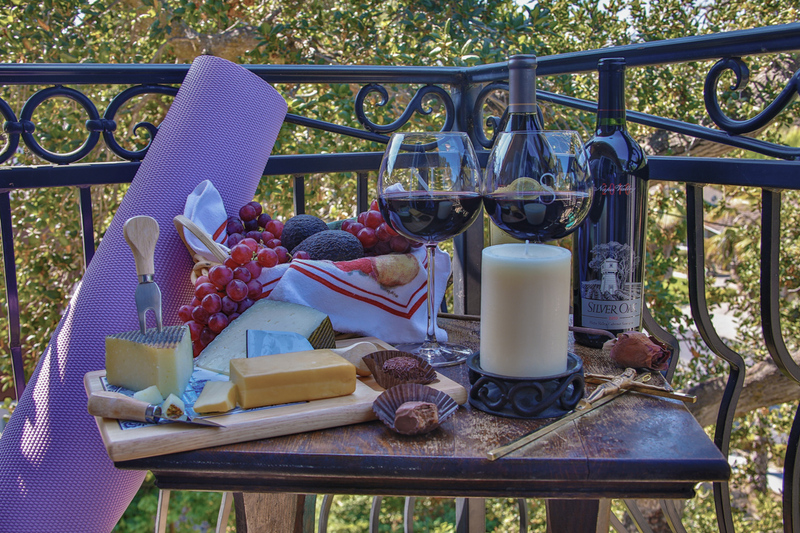 I then arranged the items so as to create a cohesive scene using one of our verandas and our Oak trees as my backdrop. Using this scene as my template, I painted a 16 x 24 inch painting in acrylic changing a few things along the way. Click on the painting to see the details of my paintwork. Hope you enjoy it.